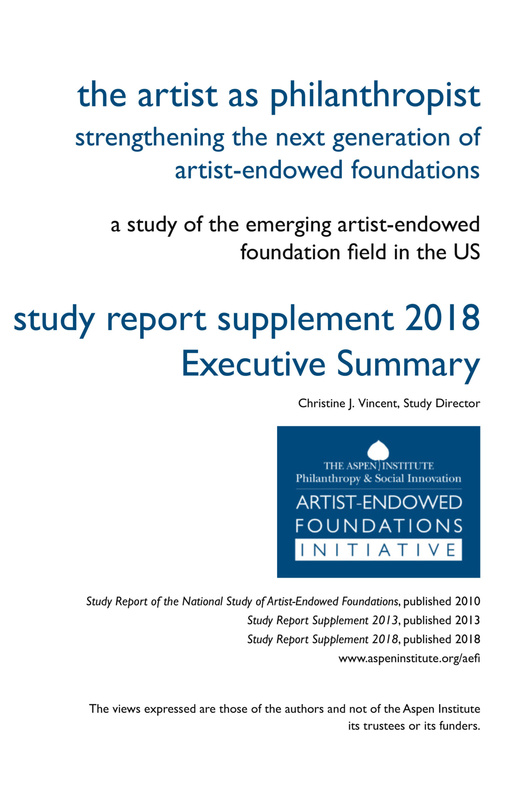 AEFI’s National Study of Artist-Endowed Foundations is the first effort to define and describe the artist-endowed foundation field in the US. Though a small portion of all private foundations, these distinctively endowed entities are growing in number and as such, represent a potential force shaping cultural philanthropy and stewarding this country’s postwar and contemporary art heritage. Little understood in either the private foundation or not-for-profit cultural fields, artist-endowed foundations are worthy of study because of their increasing numbers and growing influence, but also because their distinctive asset mix, and the activities they undertake with respect to their non-financial assets, sets them apart from most other foundations. 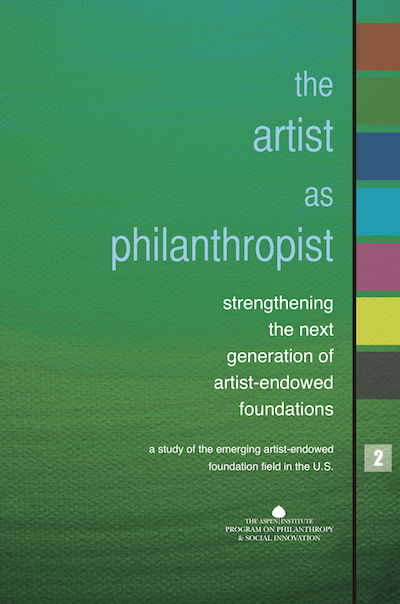 The Study’s initial findings were released in 2010, published in a two-volume Study Report — The Artist as Philanthropist: Strengthening the Next Generation of Artist-Endowed Foundations. Volume 1 of the Study Report – Findings: Overview of the Field – provides leaders in philanthropy, the arts, education, and journalism with an overview of the artist-endowed foundation field, its origins and development, scale and scope, organizational characteristics and charitable activities, current status, trends, and prospects. It examines the factors influencing the field since its emergence at the turn of the 20th century, including external influences, such as public tax policies, as well as internal influences, particularly artists’ demographics and characteristics. 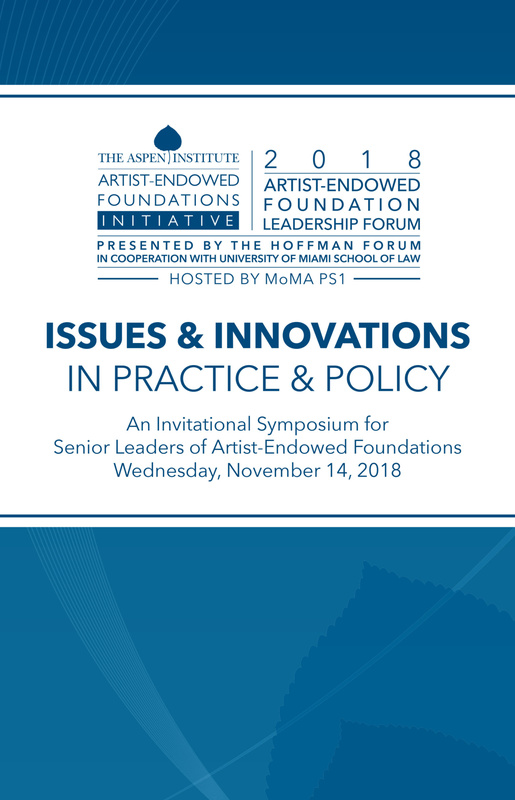 Volume 2 of the Study Report – Considerations in Foundation Practice – offers artists creating foundations, their advisors, and foundation leaders a summary of considerations in forming, sustaining, and terminating artist-endowed foundations, as well as planning and conducting foundations’ charitable programs, encompassing both grantmaking activities as well as a wide variety of direct charitable activities. Briefing papers by scholars in the arts and philanthropy address key issues in foundation practice.